Pinnacle Academy was launched by Ashish Lalaji in December 2001. This was the time when no coaching for C A Final subjects of Advanced Accounting and Financial Management was available in Vadodara. The remarkable results produced by his students speak volumes of his dedication and commitment. 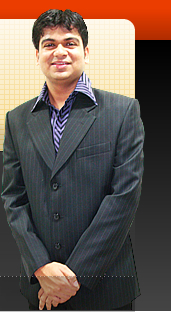 Mission of Ashish Lalaji is to ensure that best coaching, material and guidance is available to his students. It is this what he feels is his way of simplifying your success as a student. After all, in success of his students lies his ultimate success. 1) Interest of my students comes first. My experience shows that if I serve my students well, my own success will follow. 2) My goal is to make my students enjoy the learning experience. This can be achieved by in-depth discussion of topics. Solving large number of questions related to it. Being open for questions and suggestions from my students. Conducting tests and evaluating them on time. Lastly, attempting to be a good human being to have positive influence on my students. 3) Be simple yet articulate. The idea of teaching is to express, not to impress. 4) Always update the study material to remain in tune with the changing times. 5) Every student is important. Feedback should be taken from the students and should be considered very seriously. 6) There is a lot of competition among coaching classes. However, I must always be a fair competitor and must never criticize other coaching classes. 7) Reaching class room on time and punctually commencing the study sessions. I feel nothing motivates a student more than seeing his / her teacher working relentlessly and unwaveringly for his / her benefit.